Here's to hoping one day I'll smarten up and take Esquire UKs advice on the purchase of a good, solid pair of brogue shoes. Which says something like 'smart, but not too smart.' 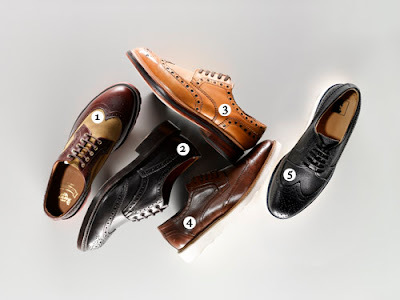 My eyes are set on #3, the Tan Archie Brogues by Grenson.